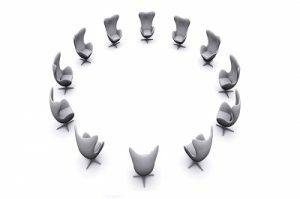 360 degree feedback continues to be a useful and insightful way of giving people a range of perspectives on how they come across. Whilst many businesses have used some form of multi-rater feedback for decades, others still look at this as a bit of a risk. Will people be honest? Too honest? Will someone use it as a forum to slate someone they don’t like? Whatever concerns and reservations you may have about 360 degree feedback, it is worth considering how you might get more of the benefits. As with any tool in the realm of profiling or feedback, the really important part is not the tool itself but the conversation and ideally many conversations that follow it. A personality profile might be interesting, but if there is no good conversation for the individual to explore their results and what they can do with that information to be more effective and progress, then there has been little to no value-add. 360 degree feedback is exactly the same. Receiving a report and reading what your colleagues think about might leave you feeling proud, pleased, annoyed or insulted. In fact confused is more likely as there will often be contradictory feedback. It is the feedback conversation that adds the value. We can help you prepare your organisation or team for 360s, so that they get the most out of the experience. We can design and deliver a tool for you, advise you on the off-the-shelf products out there you could use, or work with the existing system you have. We also have on off the shelf product that can be tailored to your needs, have a peak at our standardised offering by clicking on the picture. 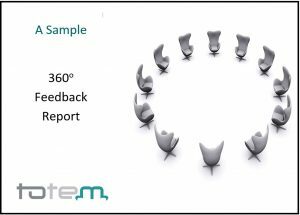 We often find that a qualitative conversation with each feedback provider adds more value than a quantitative rating system, particularly if the team are new to 360s. Finally we can train your managers or HRBPs to deliver the feedback conversations, or we can deliver these for you. Having an external coach run through the feedback can often help people get perspective and plan their development, without getting stuck in the “who said that?” cycle of unhelpful thinking. Whatever your thinking is on how you might like to use 360s, get in touch and we’ll see how we can help.